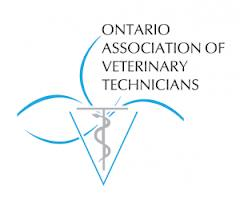 Two of our RVT’s, Cherie and Caitlin, recently travelled to Niagara Falls to attend the Ontario Association of Veterinary Technicians conference. They went to several seminars covering topics such as: anesthesiology, patient care, team building and more. They also had the opportunity to network with many other technicians from around the country, sharing knowledge and experiences. The tradeshow at the conference showcased the latest and greatest equipment and products to better care for our patients. Caitlin and Cherie came back feeling energized and inspired to make some positive improvements at West Kootenay Animal Hospital. It is imperative for our staff to continually update their education since veterinary medicine is constantly evolving, and conferences are a great way to both refresh our knowledge and reignite our passion. Caitlin and Cherie couldn’t wait to come back and share what they learned with the rest of the team!